Predominant color is blue with touches of turquoise, and complimentary light green. * This shipment was damaged during transit, and a small part of one corner is missing on the sheets. 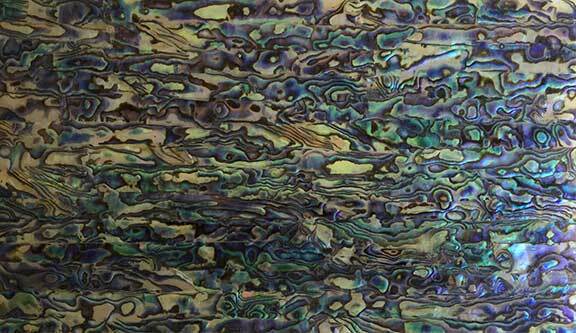 It is similar to the Abalone Green Shell, but has a more blue than green. Every sheet has different colors and patterns, so no two sheets are the same.